Through away you maps and hit the road! RZ-92: This installation kit is designed for handlebar mounting of the Road Tech™ zumo GPS system on specified Harley-Davidson® models. Replacing the left-hand half clamp, this sweeping gloss black bracket accepts the connection cradle for the Road Tech™ zumo GPS system. Fits 1" and 1.25" handlebars. Fits Softailand Road King® and '97-'13 Road Glide® and ’14-later Touring and Trike models equipped with Road Tech™ zumo 590, 660 or 665 GPS units. 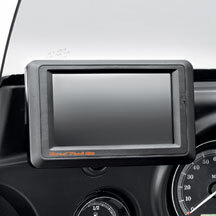 Does not fit with Road Tech™ Satellite Radio, Left-Hand Auxiliary Switch Housing or Clutch Lever Bracket Clamp Clock or Thermometer. Must be wired on exterior of handlebar. RZ-38: Zumo 660 Fairing Mount Kit. This installation kit is designed to allow fairing mounting of the Road Tech™ zūmo 660 GPS System on specified Harley-Davidson® models. Positioned for convenient viewing by both the rider and passenger, the Mounting Kit easily accepts the slide-in connection cradle for the Road Tech™ zūmo 660 GPS System. Kit includes bracket and all required hardware. Installation requires drilling through inner fairing. 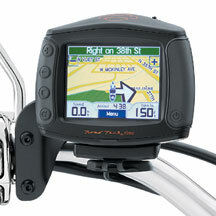 Fits '96-later Electra Glide®, Street Glide® and Trike models equipped with Road Tech™ zūmo 660 GPS unit. Does not fit with Road Tech™ XM® Satellite Radio, '06-'10 CVO™ Electra Glide® models or models equipped with Fairing Dash. Does not fit with Windshield bags. 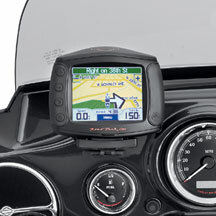 RZ-14: Road TEch Zumo 665 Navigator w/XM: Leave the maps behind and let the zūmo 665 be your guide. This motorcycle-friendly navigator is more than just a GPS unit it offers options such as continuously updated satellite weather and traffic information. And with stereo Bluetooth® and XM® Satellite Radio, you can rock out while you ride on. No matter where you're going, the zūmo 665 can lead the way. Complete kit includes: zūmo 665 GPS, Preloaded City Navigator NT for North America, mounting cradle with integrated power cable, XM® antenna, carrying case, dust cover for motorcycle mount, battery pack, charger, automotive suction cup mount and power cable, USB cable, and owner's manual. Fits '96-later Touring with separate purchase of Handlebar Mount Kit or Fairing Mount Kit. '11 Softail® models require separate purchase of Electrical Connection Kit P/N 72673-11. 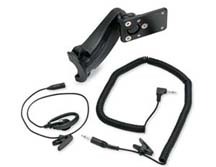 Requires separate purchase of Road Glide®® Antenna Fairing Mount or Road Tech™ Antenna Pouch. Electra Glide®® XM® Antenna Mount included. 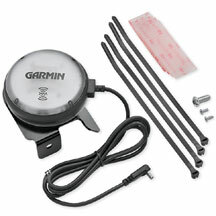 RZ-65: Handlebar Mount Kit. Fits '96-later Road King®, Road Glide®, and '02-later VRSC™ models (except VRSCR). Does not fit with Road Tech™ Satellite Radio, Left Hand Auxiliary Switch Housing or Clutch Lever Bracket Clamp Clock or Thermometer. RZ-66: Fairing Mount Kit. Fits '96-later Electra Glide® models (except FLHTCUTG). Does not fit with Road Tech™ XM® Satellite Radio, '06-'09 Screaming' Eagle Electra Glide® models or models equipped with Fairing Dash Pad. RX-82: Roadtech Zumo XM Antenna Kit. The compact, all-in-one antenna delivers XM® Radio and XM® Nav Traffic and basic weather information to the Road Tech™ Zumo. With subscription(s) to XM® services, you can check the weather and avoid traffic backups all while listening to over 170 channels of music, sports, news and talk entertainment. Enjoy music at the same time as you follow the route to your next destination. As you approach a turn, the music volume automatically lowers as the turns are announced. Setting up the antenna is fast andeasy. Simply position the antenna where it has a clear view of the sky and connect it directly to the USB port on your unit. Then choose the XM® subscription that best fits your needs. Fits '96-later Electra Glide® (except FLHTCUTG) and Road Glide® Models equipped with the Road Tech™ Zumo RZ-57.